A three-book collection of the remarkable story of one of the strongest men in history—and in every regard about the least likely to become so. Your inspirational read of the year. And make the lift, he did. Dr. Judd Biasiotto had already shocked the world with his mind-over-muscle abilities, but for a man to break the 600lb squat barrier at a bodyweight of just 131lbs—and at the age of 44 and after spine surgery!—it was an other-worldly display of human mental and physical capacity, that no one believed possible. His doctors, in fact, were not sure he would even be able to walk again, let alone lift any kind of weight—let alone record-breaking weight. 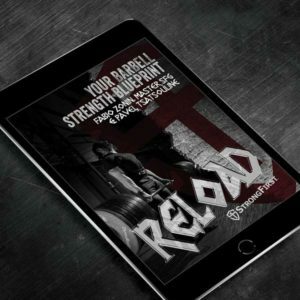 Be amazed and inspired as Dr. Judd explains his use of multiple psychological methods in order to not only be competitive, but to become a record-shattering world champion and pound-for-pound, one of the strongest lifters of all time. For the highly-ambitious—this book will resonate strongly with you. It will encourage you to keep going, to seek out more knowledge, to investigate options, to experiment, to tune-out the naysayers, to reach beyond, and to never give up until your greatest aspirations are fulfilled. If you do not already possess this all-consuming drive to excel (and you know it if you have it)—you will be inspired! You will be challenged to do and be more. To finally get serious and push past your limits, and discover much more that you are capable of. Dr. Biasiotto is a man you want at every dinner party. A multi-faceted character, Judd has deep insights into the human condition and has been enormously influential throughout the sports world by learning how to develop and control his mental and physical capacities. These skills are his secret to achieving the “impossible”, and with no small degree of effort, they will work for you, too. Impressive, fascinating, inspiring, and thoroughly entertaining. We are honored to present to you the remarkable story of a most remarkable individual, Dr. Judd Biasiotto. To purchase the Kindle book, click HERE. Back in 1986, Judd Biasiotto literally shocked the sports world when he squatted 575 pounds at a body weight of only 132 pounds—a feat that some called the greatest strength sports performance in history. Not surprisingly, many strength experts considered Judd’s performance unbeatable. When you consider that the record-breaking lift was performed after Judd had undergone major surgery on his back and neck, the accomplishment takes on an “out of this world” quality. Otherworldly is perhaps the term that best describes the complex personality that is Judd Biasiotto. He is a man of many facets, changing alternately during the day into a world-class athlete, a renowned sport psychologist, an international speaker, or an award-winning writer. In all honesty though, it was Judd’s athletic accomplishments that first captured my attention. 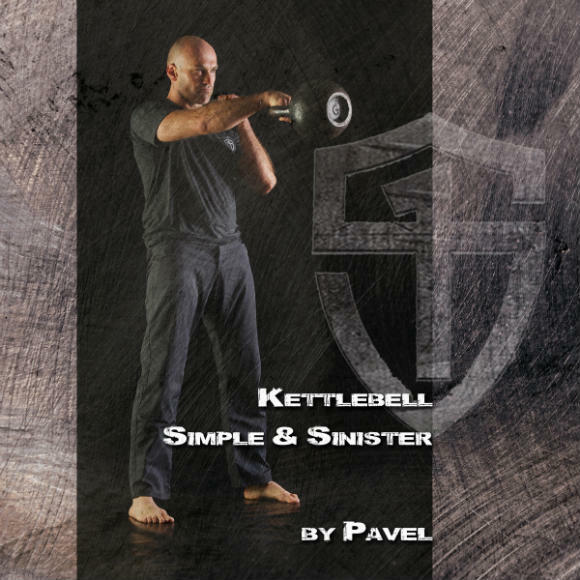 Although he did not exhibit the muscularity and leverage you would expect in a world-class lifter, he was putting up enormous poundage in the featherweight division. 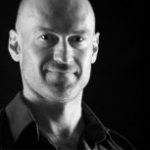 Interestingly, through such techniques as hypnosis, biofeedback, and psychic driving, Judd has learned to control his heart rate, brainwaves, muscle tension, and biochemistry. I would venture to say that the secret to his great strength lies in those powers. Although it was powerlifting that directed my attention to Judd, it was his writing that brought us together. In my professional opinion, I would have to say that Judd is one of the best sports writers in America. Of course, if I did not feel that way, I would never have recruited him as a feature writer for Muscle and Fitness. His unique writing style might best be described as a cross between James Michener and Lewis Grizzard. He is extremely informative and entertaining. Once you start reading his books, you won’t be able to put them down; once you finish, you’ll wish you hadn’t. He is just that good. Judd is a magnificent story teller, using hilarious anecdotes to entertain and teach. He successfully explains highly technical information so that even a novice to the material can grasp the concepts easily. He describes characters he meets—some who are easily recognizable—with color and candor. Judd’s expert handling of these characters and his various escapades creates a treasure chest of adventure and enlightenment. This book will only enhance his image as both an athlete and a writer. Unquestionably, it is one of the best sports books ever written. It chronicles Judd’s journey to become the first lightweight powerlifter in the world to break the 600-pound barrier in the squat, a feat that was considered physiologically impossible for a man of his size. It makes for fascinating reading and it will give you instant inspiration and the unconditional feeling that nothing is impossible—nothing. Against all odds, a guy with “the body of an eleven-year old stamp collector” becomes one of the strongest people in history. The Search for Greatness takes us on his extraordinary journey as an athlete and a human being. 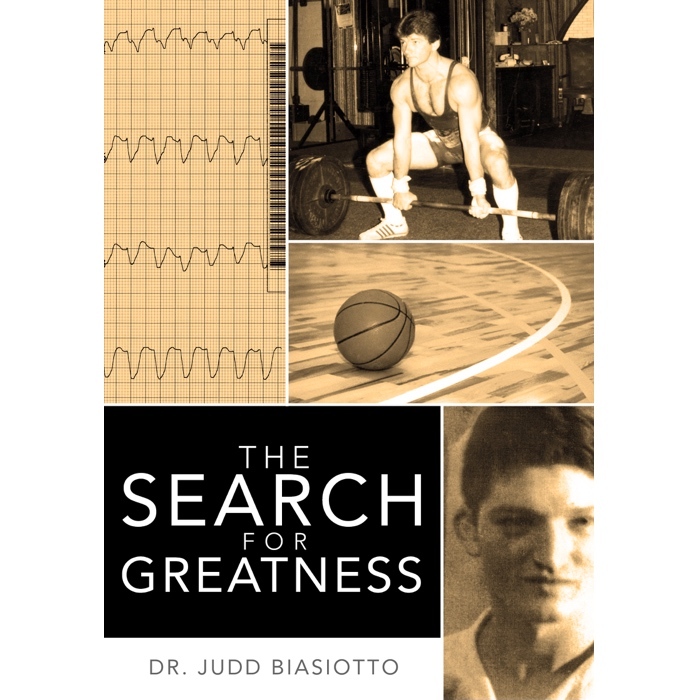 Ladies and gentlemen, StrongFirst is proud to present one of the greatest true sports stories of all time, The Search for Greatness by Dr. Judd Biasiotto.